Editor’s Note: This is the second installment of our 2013 review & preview series. You can read the rest here. Since 2006, Milwaukee’s Opening Day lineup has had one constant: Rickie Weeks at second base. Projected by Baseball Info Solutions to carry a slash line of .262/.355/.453 in 2012, Weeks slow start to the season led to a career worst .230/.328/.400 over 157 games, but his season was really a tale of two halves. Coming into the All Star break, the 2011 NL All Star was batting just .199/.314/.343. With few options available for replacement, due to an already decimated infield, Ron Roenicke stuck with Weeks and was rewarded for his patience. Weeks batted .261/.343/.457 during the second half of the season (almost identical to his projected line). If there is a silver lining to his dismal 2012 campaign, it has to be in regards to his plate discipline. Never know for being particularly patient at the plate, Weeks showed signs of improvement in this area walking 74 times in 677 plate appearances or roughly 1 in every 10 appearances. Weeks two biggest shortcomings are his defense and his free swinging nature. This is where the unfortunate joke of “You can’t spell Weeks without 2 Es and a K” springs from. Defensively, Weeks is detrimental to Milwaukee’s middle infield. Errors have plagued Weeks career in the majors, a downfall evident in the fact that Weeks has led the majors in errors by a second baseman 5 times in the past 8 seasons (’05, ’06, ’08, ’11, ’12), and taken 3rd twice (’07 and ’10). In 2009, an injury saw Weeks only appear in 37 games, thus not giving him enough “opportunities” for this dubious distinction. Additionally, despite his newfound patience shown in the statistics above, Weeks still struck out 169 times in 2012. Based on 677 plate appearances, that’s 1 strikeout in every 4 appearances. Ouch! So, what happens if Weeks struggles again this year, or goes down with an injury? Now that back up Eric Farris was acquired by the Seattle Mariners in this years Rule Five Draft, it appears that the next in line for the spot would be Scooter Gennett. Ranked 7th in the list of Milwaukee’s top 20 prospects, the undersized Gennett isn’t known for his power, but makes up for it in consistency. A career .300+ hitter in the minors, Gennett makes up for his lack of power with speed on the base paths and should be an adequate replacement should his services be required. 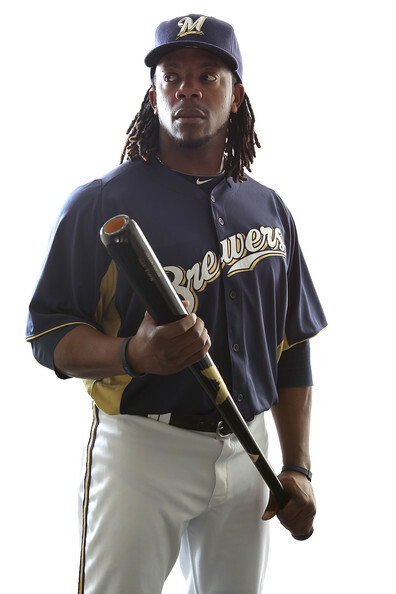 Come on back tomorrow for a review of the shortstop position and the return of a former Brewer to the fold. Kevin Kimmes is a regular contributor to creamcitycables.com. You can follow him on Twitter at @kevinkimmes. This entry was posted in News and tagged 2013 Milwaukee Brewers, 2013 Position Review & Preview, Brewers, Eric Farris, Major League Baseball, Milwaukee Brewers, MLB, Rickie Weeks, Scooter Gennett. Bookmark the permalink.